Weight of an Empire is about three Iraq War veterans from Georgia: Partner &#x201c;Pard&#x201d; Warren Davis is an Iraq war veteran from Georgia who returns home after separating from the military and tries to make a new, albeit solitary life for himself. As Pard tries to isolate himself, ignoring one friend&#x2019;s requests for help and another&#x2019;s descent into madness, he meets a beautiful graduate student from the local university and begins a new chapter in his life with perpetually hopeful horizons. But certain characters like Robert Shea, the Sheriff&#x2019;s Deputy with a dark side, and Riley Tiergarten, a career criminal with a hot temper, as well as an unexpected reunion with his ex-wife will all present challenges to Pard's newly made life. 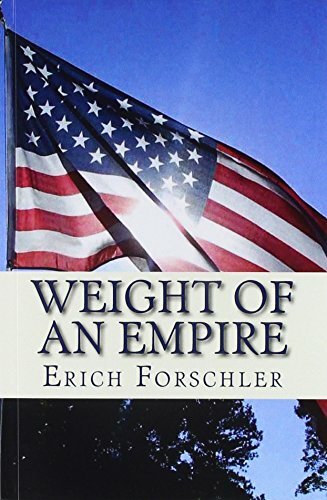 Featuring competing romantic and violent sub-plots, Weight of an Empire builds patiently before culminating in a furious crescendo of chaos that then fades into a white noise of emotional residue.